Caregiver Legal Services program is designed to help family caregivers of elderly frail persons who have Alzheimer’s disease, have suffered a debilitating brain injury, who are economically and socially disadvantaged, or are isolated, homebound or institutionalized. • Community education presentations designed to educate and warn seniors and their family caregivers of current scams and suspicious activities targeting the elderly and suggest strategies for protecting their loved ones and themselves. Family caregivers may meet with a staff attorney to discuss issues related to their loved one. For example, a family member may need to assume legal responsibility for someone who has been diagnosed with early stage Alzheimer’s disease. The care receiver may still be legally competent to execute a springing power of attorney. 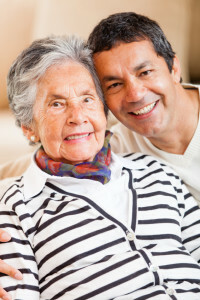 This will assist the family caregiver in assuming financial duties when the care receiver is no longer able to take care of his or her own financial affairs. Our legal staff will assist qualifying clients at no charge.